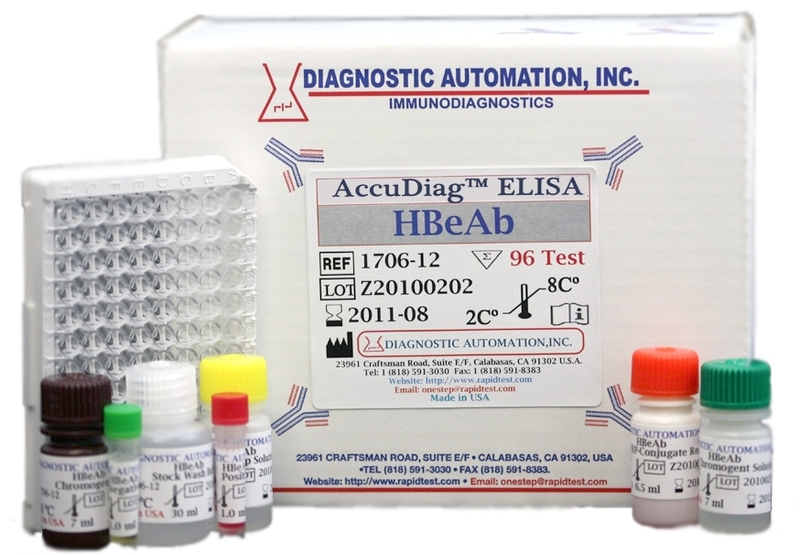 EBNA IgG ELISA kit- EBNA IgG ELISA Assay kit | FDA-CE | 818-5913030-USA. 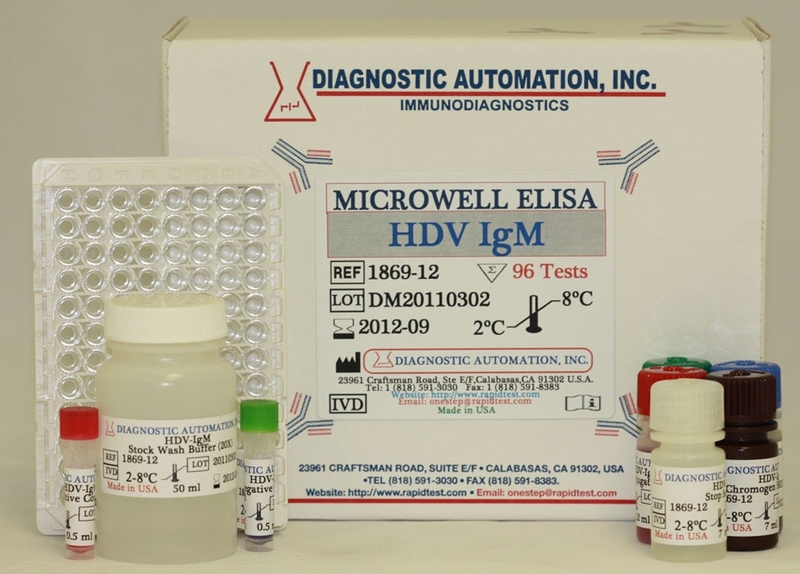 Diagnostic Automation Epstein Barr Virus Nuclear Antigen-1 (EBNA-1) IgG Enzyme-linked Immunosorbent Assay (ELISA), is intended for the qualitative and semi-quantitative determination of IgG antibody in human serum to EBNA-1 recombinant antigen. 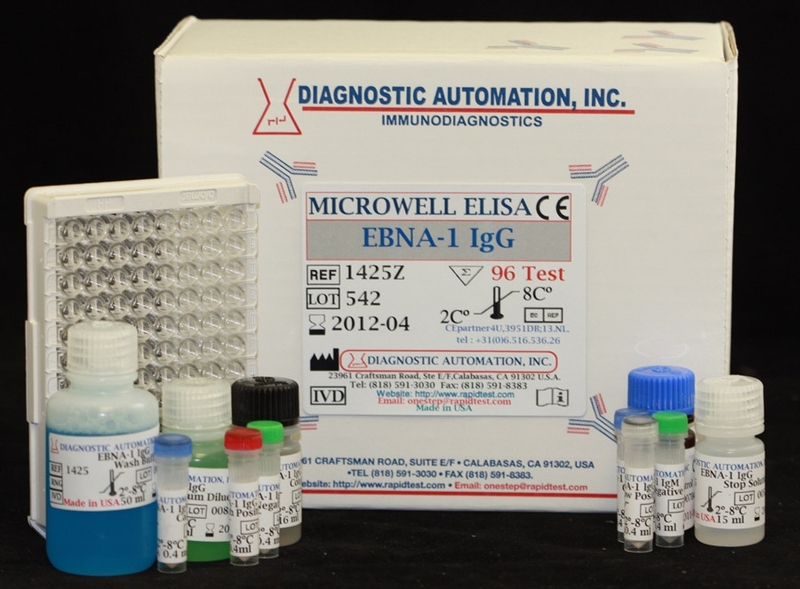 EBNA-1 IgG assay may be used in conjunction with other Epstein-Barr tests. Recombinant EBNA-1 antigen is coated on the surface of microwells. 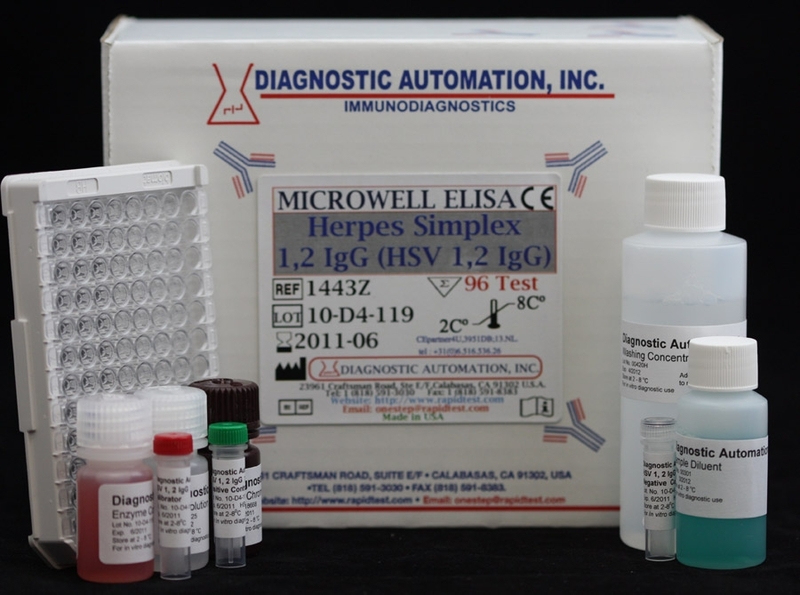 When antigens bound to the solid phase are brought into contact with a patient's serum, antigen specific antibody, if present, will bind to the antigen on the solid phase forming antigen-antibody complexes. Excess antibody is removed by washing. 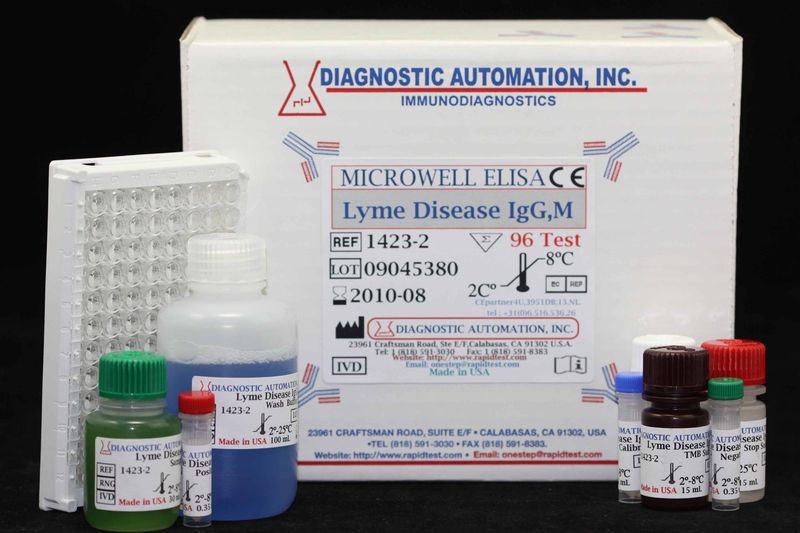 This is followed by the addition of goat antihuman IgG conjugated with horseradish peroxidase which then binds to the antibody-antigen complexes. The excess conjugate is removed by washing, followed by the addition of Chromogen/Substrate.